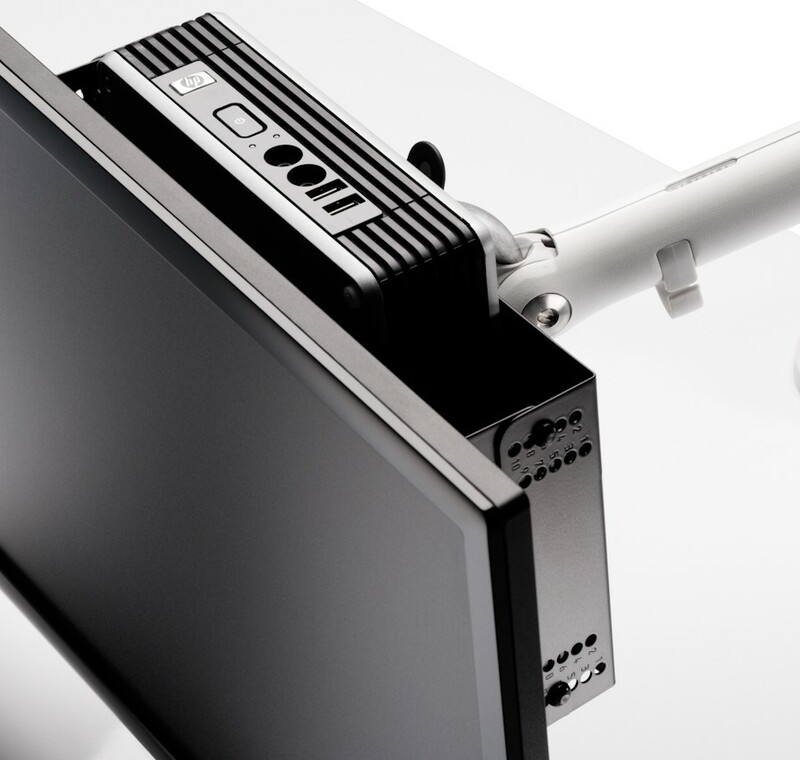 The CBS Thin Client Mount is a CPU holder accessory designed to securely house Thin and Zero Clients. 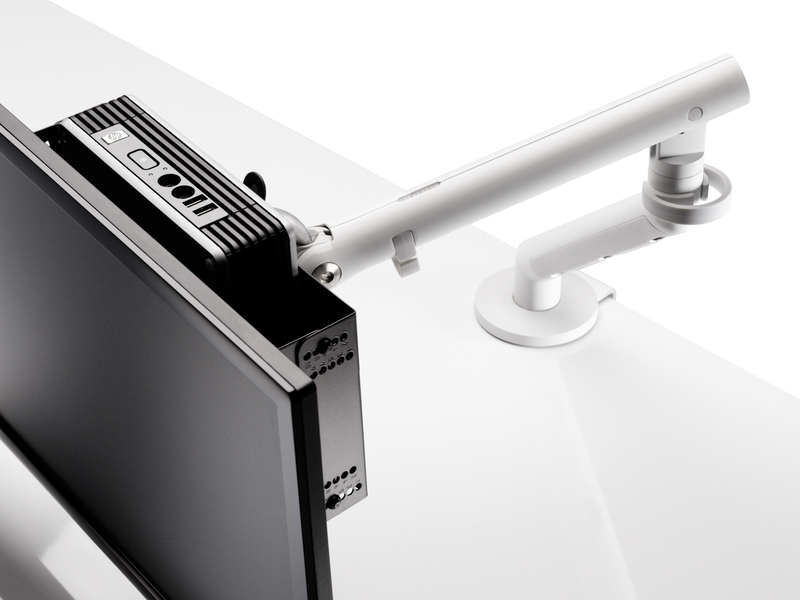 Mounting between a VESA plate and a monitor, or under a desk using a CBS CPU stand fixing, the Thin Client Mount can be adjusted to accommodate a range of Thin Clients from 38 to 67mm depth. Quick and easy CPU stand installation. 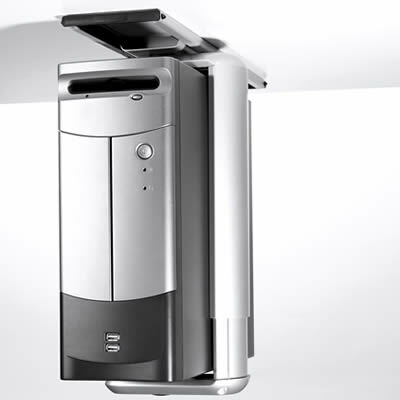 Designed to let air circulate to keep the Thin Client from over heating. 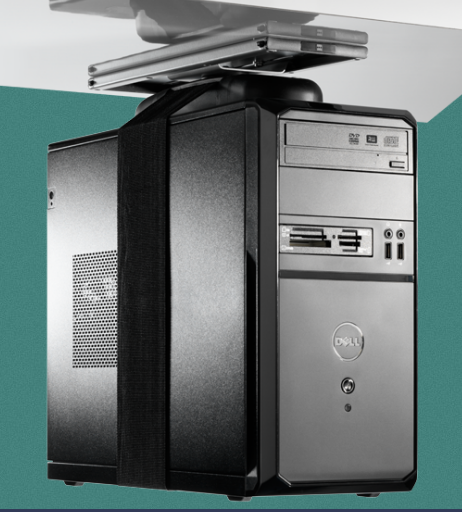 Includes foam pads to protect Thin Client. 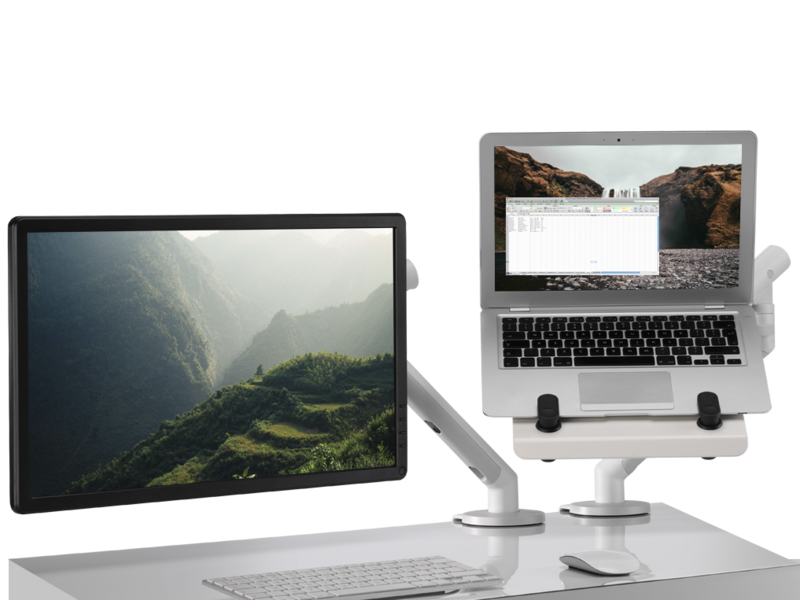 Ten easy to adjust settings to accommodate a range of devices. 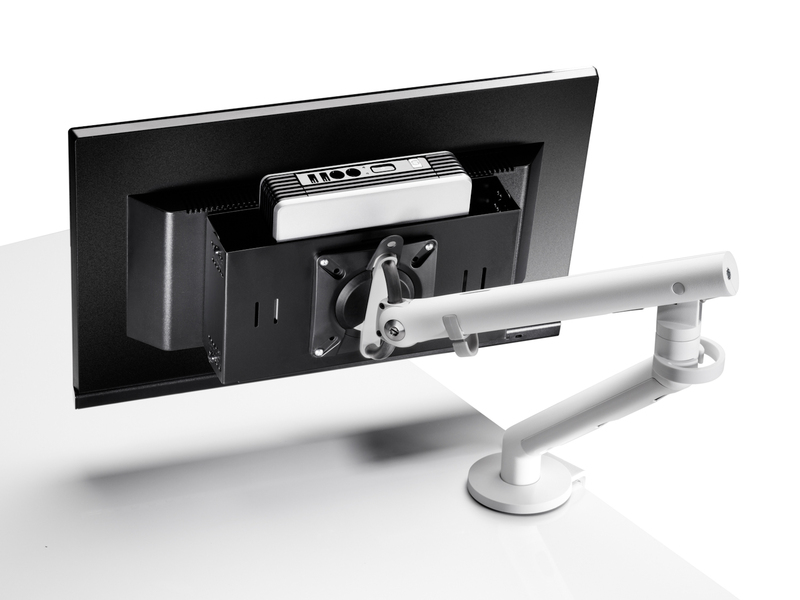 Can be positioned conveniently for IT support work behind the monitor or under the desk.